For Your Consideration is a new segment wherein I provide just a tiny bit of information to pique your interest, and you can do the work researching/thinking about/lamenting/lauding said circumstance. By all means, leave a comment to tell me what you think. This one is for my religious fans, all none of you. Unlike other businesses that claim to help people, religions don't pay taxes. Personal trainers, psychiatrists, motivational speakers, nutritionists, doctors, therapists, and lots of other kinds of people who can demonstrably help people pay taxes, but religions don't pay taxes. For reference, please consider the Ontario Ministry of Finance and Canada Revenue Agency. 16 And they sent out unto him their disciples with the Herodians, saying, Master, we know that thou art true, and teachest the way of God in truth, neither carest thou for any man: for thou regardest not the person of men.17 Tell us therefore, What thinkest thou? Is it lawful to give tribute unto Caesar, or not? 18 But Jesus perceived their wickedness, and said, Why tempt ye me, ye hypocrites?19 Shew me the tribute money. And they brought unto him a penny.20 And he saith unto them, Whose is this image and superscription?21 They say unto him, Caesar's. Then saith he unto them, Render therefore unto Caesar the things which are Caesar's; and unto God the things that are God's.22 When they had heard these words, they marvelled, and left him, and went their way. Jesus wants you to pay your taxes. 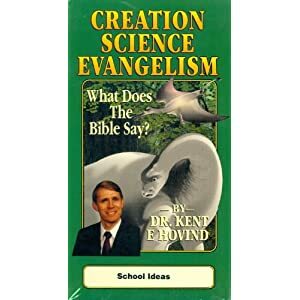 I'm talking to you, Kent Hovind (Young Earth Creation Science Evangelist currently incarcerated for multiple crimes including tax evasion). Apparently you have no idea what the Bible says.